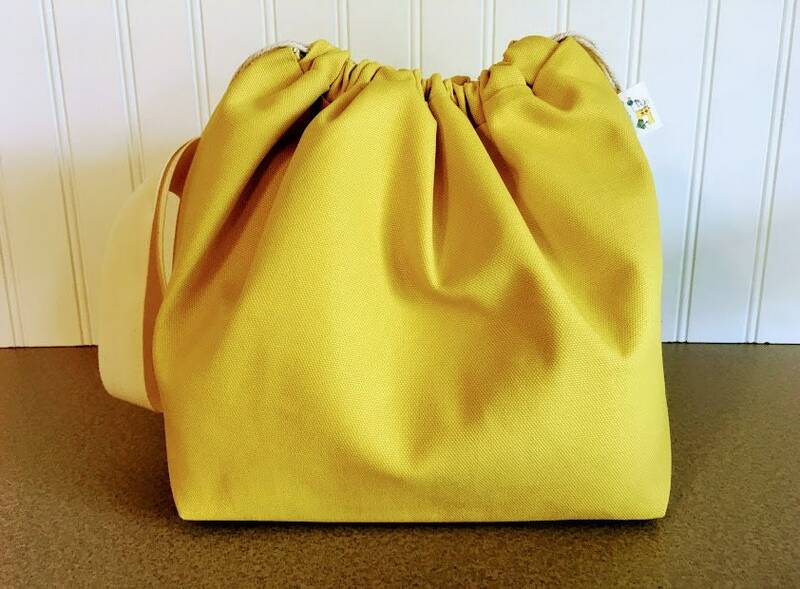 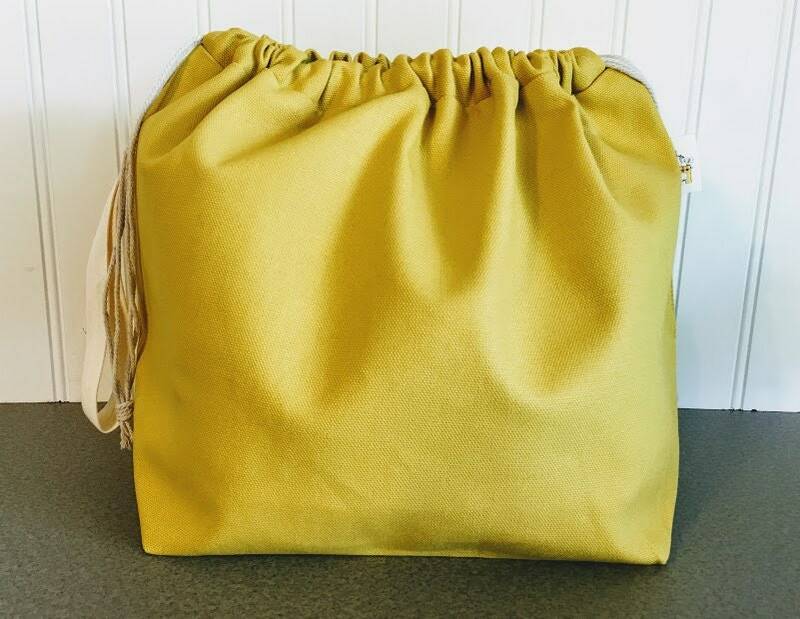 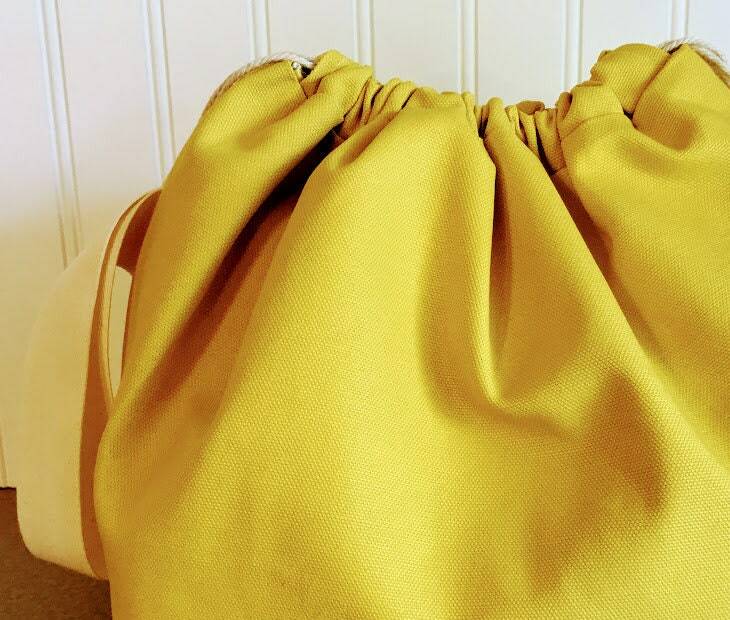 Yellow Canvas Drawstring Bag with sheep lining. 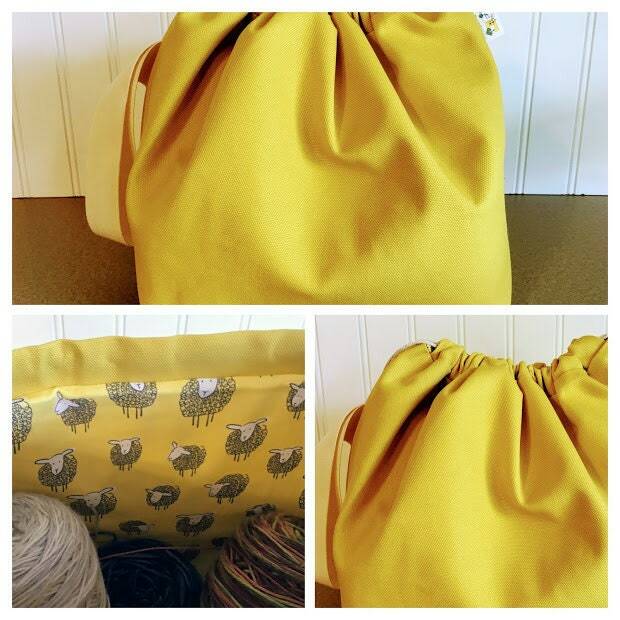 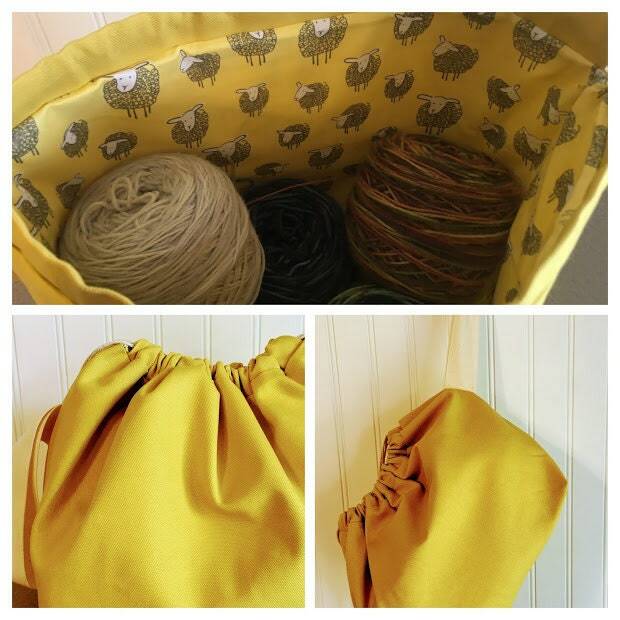 This large Canvas drawstring project bag is perfect for knits such as sweaters. 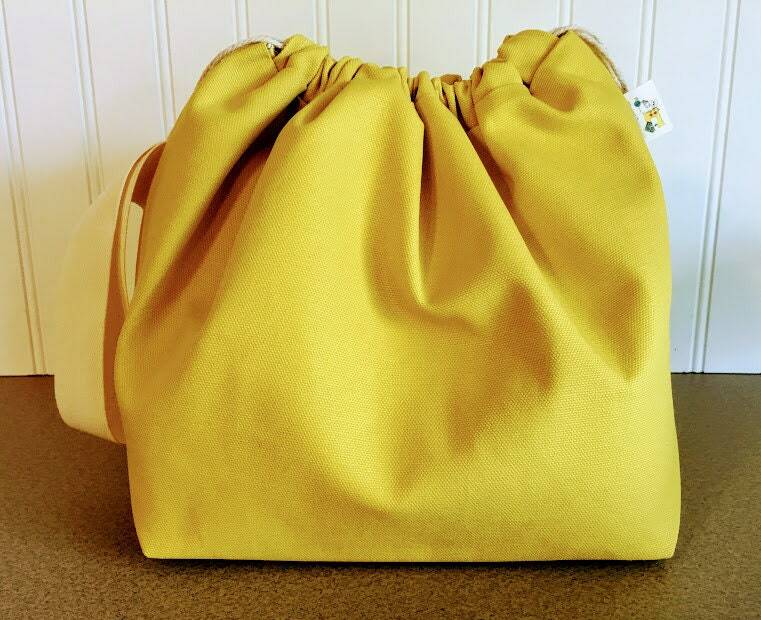 It is made from durable canvas fabric in mustard yellow. 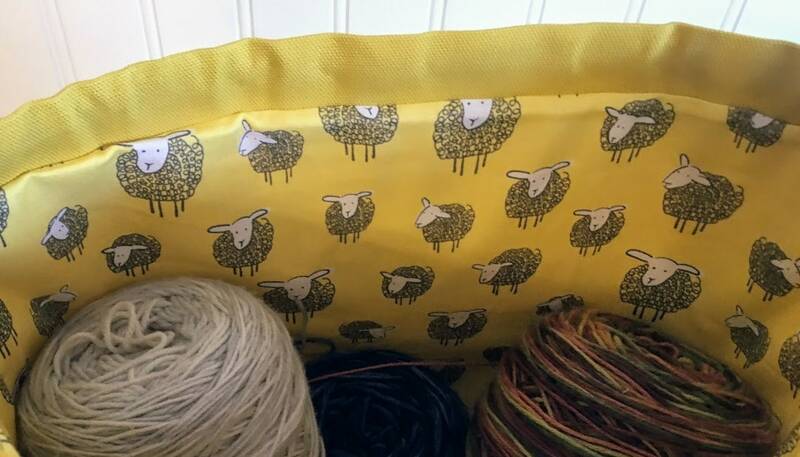 The bag is lined in a cotton floral fabric featuring fun sheep. 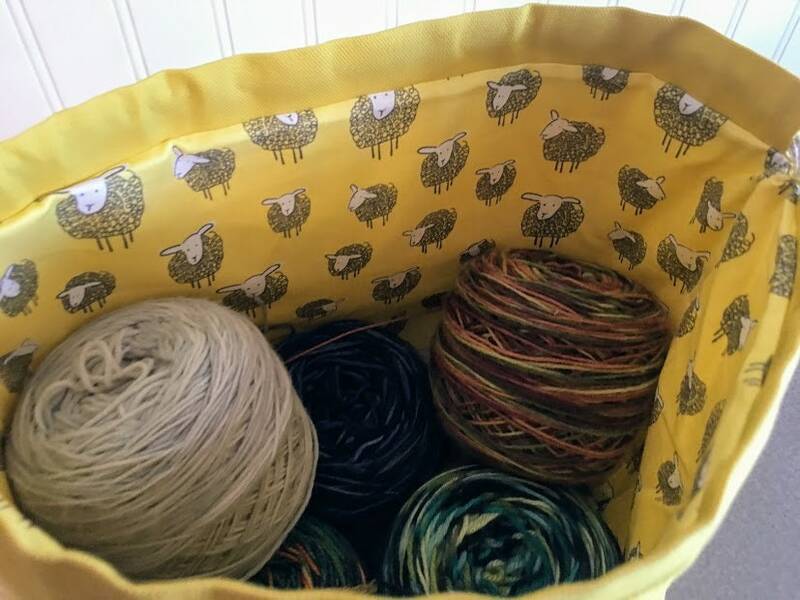 * Bag is fully lined. 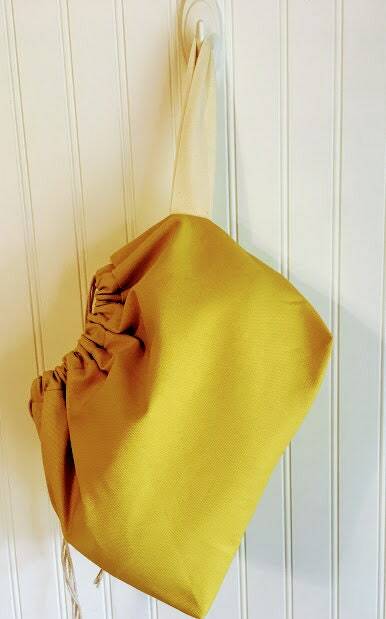 * Cotton rope drawstring plus twill wrist strap.